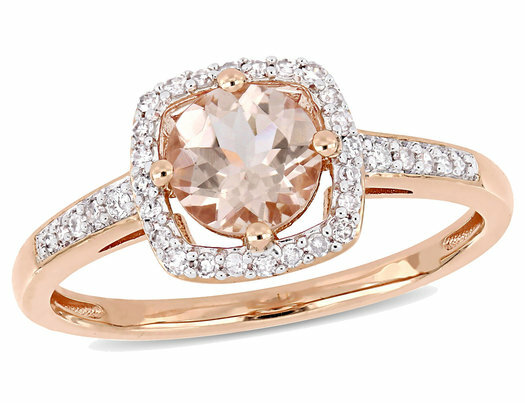 Add a touch of elegance and sophistication to any look with this morganite and diamond halo engagement ring. Crafted in lustrous rose pink gold, this ring features a solitaire round-cut 4/5 carat (ctw) morganite at its center with 20 glistening diamonds in a classic studded square halo design with added shimmer halfway along the band. Whether worn as an engagement ring or simply as a new elegant addition, this exquisite piece is sure to make a standout addition to any jewelry collection.